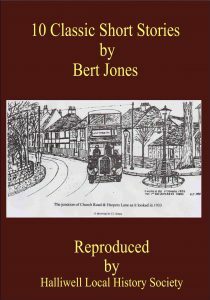 Bert Jones was the biggest contributor to the Society magazine The Little Piecer over its thirty year history. Alan Simpson has selected a fine collection of 10 of these gems of Local History from one of the best writers of this genre. Price: £5.00 plus £2.00 p.&p.